Besides the nuisance of phones ringing during takes or the distraction that texting and message checking can cause, there is another reason for requiring everybody involved in a recording session to actually turn off their cell phones. Switching cell phones to vibrate mode will not help in this case. 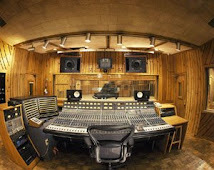 It is bad enough that studios have to contend with all sorts of RF in the air that show up on microphones and other recording gear. It certainly does not help matters if the RF sources are cell phones of the players in the session. Every cell phone emits a "homing" signal to the nearest cell tower on a regular basis to let the tower know that it is still within range. When this happens, the cell phone will boost its RF output power up to 1W to make the connection. Normally, the output power is much lower at around 1mW. If the cell phone is in close proximity to a microphone, it will result in noise. If the cell phone is left on top of or near the recording console, it might show up as noise on one of its channels. Cell phones have been known to interfere with outboard gear as well. The last thing you need is somebody's cell phone ruining a perfect take. We understand that people want to be accessible so they do not lose a gig, especially in this economy. You can always retrieve and reply to messages during breaks. Most of the time, cell phone reception can be spotty anyway, e.g. in a building like ours that used to be a Con Edison power substation. 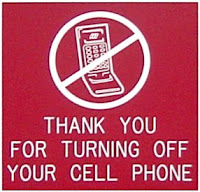 As a business that provides room and service, we cannot force people to turn off their cell phones. Unlike smoking, it is not against the law. We can only recommend that they do so. Enforcement will have to come from the producer or someone who is in charge of the session. Don't say we did not warn you.